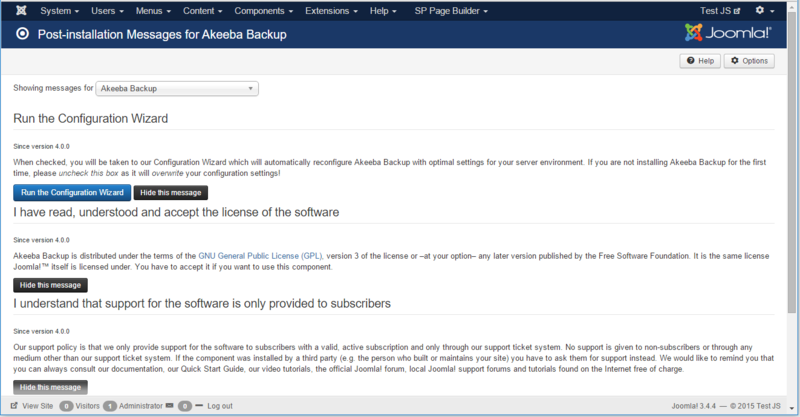 Well, Akeeba Backup is a component that you can use to create full backups of your Joomla site. Let’s see how to do it. Download the component from its official site. You will get several versions of Akeeba on its website. Installing the latest version can be the best option for an updated Joomla setup. Now login to your Joomla site’s administration panel. Go to Extensions > Manage. Locate the Akeeba Backup package from your computer, press “Upload & Install”. Remember, you can install an extension by locating it from a folder that is already uploaded to your server. Also, there is an option for installing extensions via their URLs. In this method, you don’t need to download the package locally, rather enter the package link into the specified field and click the Upload & Install button. 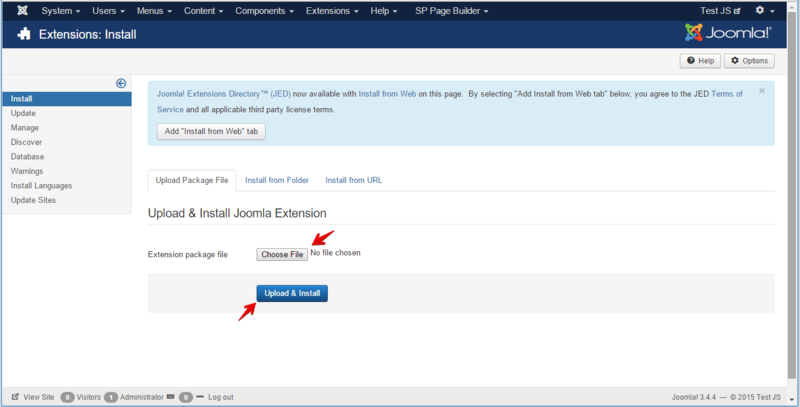 You can use the "Install from Web" feature to get extensions from Joomla extension directory as well. The system will notify you soon about the installation. After installing Akeeba, you will get some post-installation messages. Read them. Run the Configuration Wizard. After the component performs some automated configuration tasks, you will get an option to create new backups and re-configure the tool. To start creating a new backup, go to Components > Akeeba Backup. There you will see the component options. Click the “Backup Now” button. It will bring the final backup configurations. 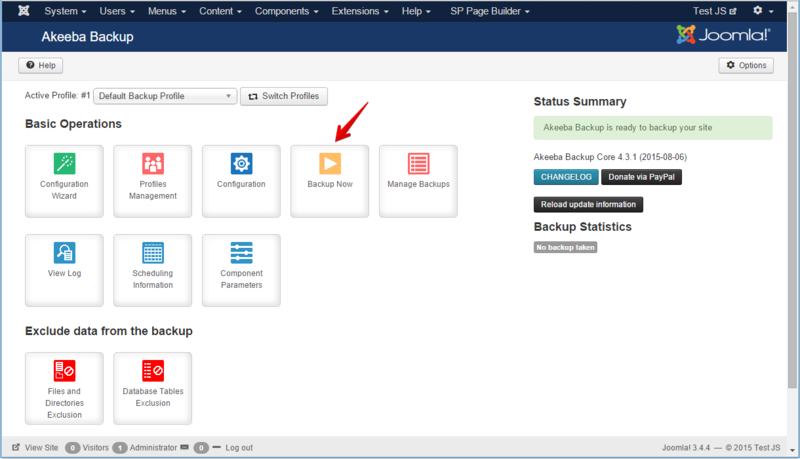 You can choose a backup profile, add a comment to the backup and reset the preset configurations. Once these decisions are made, click the Backup Now button. The system will show you the progress. You will be notified once the backup is completed. When the backup is created, you can download it to your local computer. Click the “Manage Backups” button to view all of your available backups. So, download the backup file from here. You can restore it anytime with a previously created backup file. 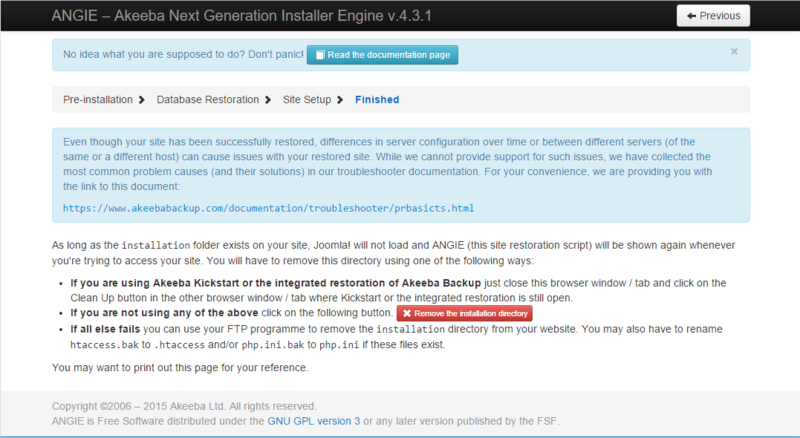 Currently the Akeeba Backup component for Joomla doesn’t have an option to restore the backup on-board. So you need to download Akeeba Kickstart. Download it from here. Extract the zipped folder. Locate kickstart.php file. 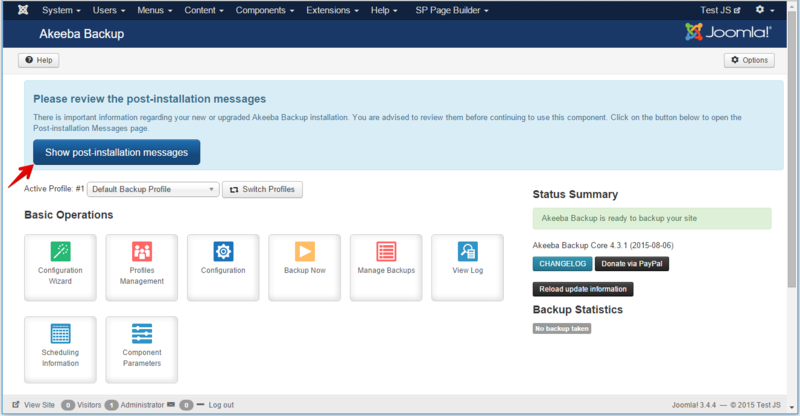 Now go to the Akeeba Backup component via your site’s admin panel. Visit the Manage Backups section. Download the backup file you want to restore (we've done this on the above step). Upload the kickstart.php file and the backup file (.jpa) to your site’s root folder. Visit yoursite.com/kickstart.php. You will get the restoration page. Select the direct extraction option and start the process. Complete the restoration step by step. Clean the installation directory from the next screen. And your mission is complete. Now you can visit your site and it should be back as it was in the backup date. That was all for now. Which backup-restore method do you use? Please share your experience with us via comments.